By grounding the leads simulating the gear switch sender I can see the first part of the circuit works Ok. 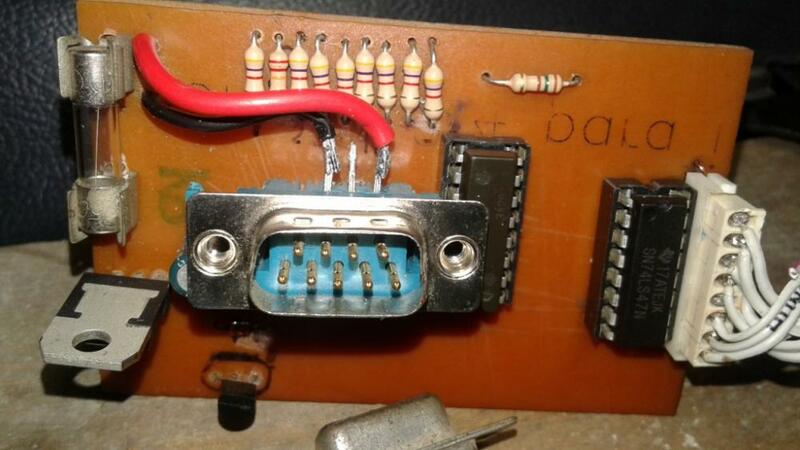 In the picture showing the Pcb, could it be that a connection is missing between U2 pin 16 and +B?? Thank you in advance, I'll really appreciate if you can lead me to complete this job. Mario nice job for a first try. As far as I see from the pictures the two red lines between U1 and U2 are missing. You can solder a piece of wire directly between those pins. Then you should make sure the polarity of the LEDs are correct, since the U2 provides negative outputs. In addition to these 7 negative outputs, there is 1 positive output going to the display. So re-place the LEDs on the breadboard correctly. When buying the 7 segment digital display note that there are two types, common anode or common cathode. 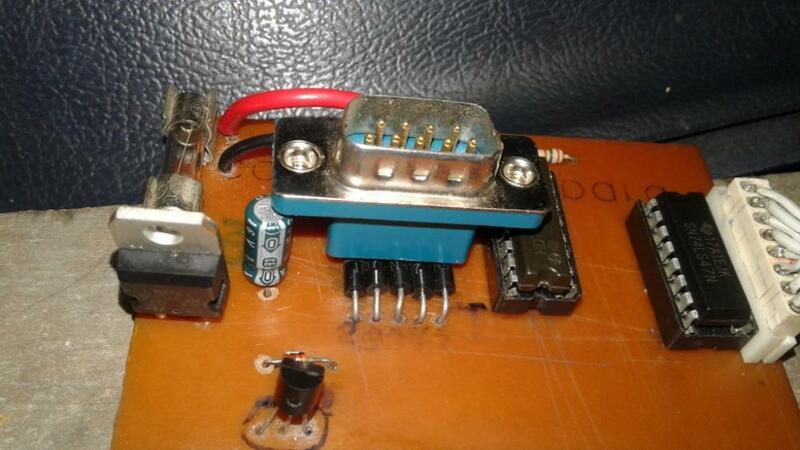 On this circuit you will need common anode one. Then we can continue if necessary. Unfortunately as I said before, I designed this circuit on a computer program and tested it there, it works on the screen, but in real life there may be some differences to find out. Model: '93 GL1500 SE "Blue Angel"
Thank you for replying so fast, and your help. 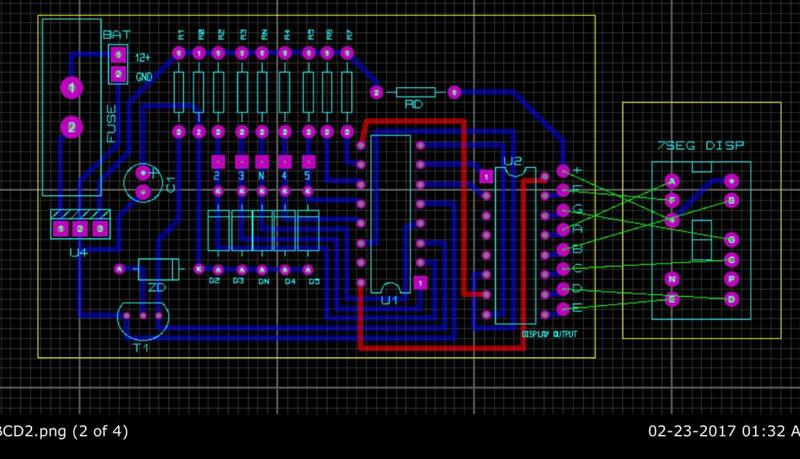 The lines conecting U1 & U2 are in the underside of the board, I made that trace just to be sure when I wired them. The 7 segment I have is a common anode. I'll double check the whole circuit again and take note on voltage at each U1 & U2 pins. Probably going to see a friend who has a osciloscope. I just noticed that there is a wrong trace on your board. There should not be short between the capacitor pins. Thank you for your help but NO, that picture was taken right after etching and drilling, the trace at cap was removed along with some others small shorts like the one at pins 9 and 10 of U2. 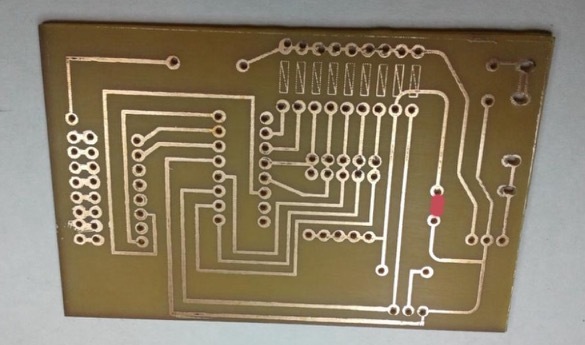 Before soldering any elements I've had checked with VOM for continuity and shorts thru the PCB. 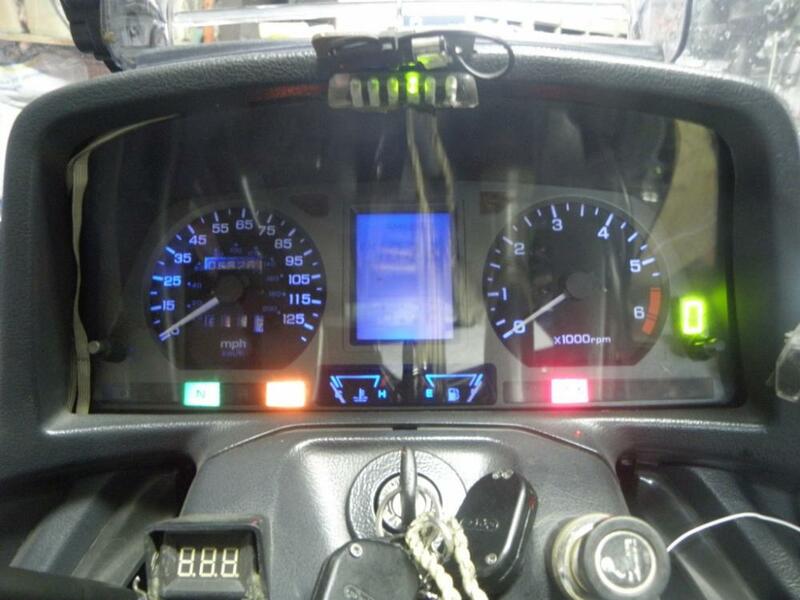 Don't worry, I've fixed most of it ( about 70%) and very soon it'll working and fixed in the bike. My work have had an impasse since my last incident (03/28/18) and this week I was able to resume to work and completed this project. You may see in the attached pictures I'm using some salvaged connectors to hook it to the bike. 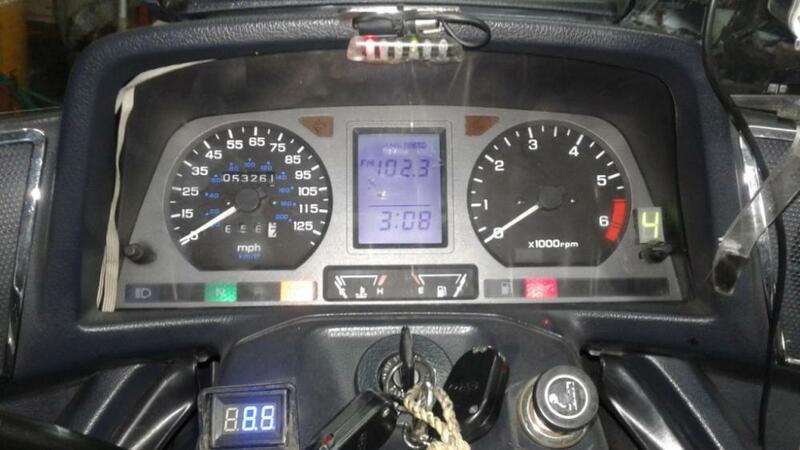 The led display is located under the clear screen right of Tachometer, wired by 8 leads of flat wire, no connector, I bent the pins inward and soldered wire to them direct, then just fixed it to the dash w/ double side tape. Since the bike is still on the side stand, (as my friend left her) I can't cycle thru the gears so my test is doing by grounding the input of the circuit (minor detail). That's why you may see #4 in display and neutral light on. Good job Mario, you should use the voltage coming from the kill switch not to have a false reading (I had 4 like yours too during the tests). One more benefit of this will be, it will work like a kill switch indicator.